The best-selling Pungo is light enough to handle with ease it features an impressive balance of manageability, stability, speed, and comfort. Ample storage capacity, yet light enough to handle with ease. For the angler poised to fish all season in all waters, the Tarpon is the ultimate workhorse. Its award- winning design offers both agility and speed to zip from spot to spot, but also the right amount of stability for fighting fish or rough waters. 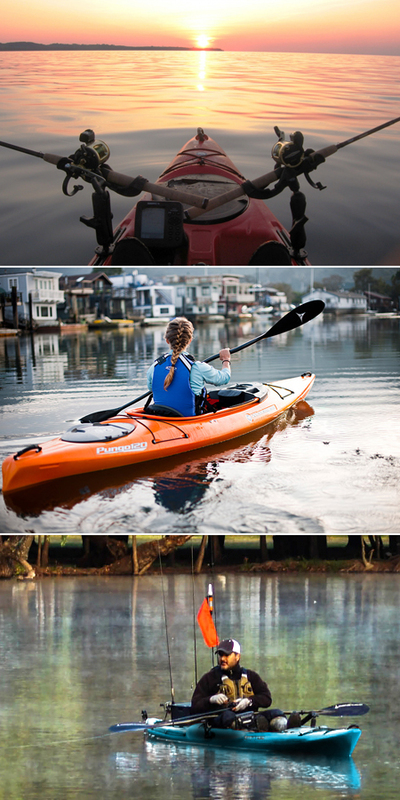 The intuitive design allows for a wide range of body sizes with easy access to gear and the exclusive Slide TraxTM accessory system to trick out your fishing kayak any way you want. Now featuring the Phase 3® AirPro seating system for added ergonomic comfort and easy adjustability.